The power of theta brain waves can be channeled in a way that brings lasting benefits. Increased memory, less stress and a better capacity for learning are all ways that theta waves can improve our lives. Before we can explain what the power of these waves is, its best to begin with what they actually are. Once a foundation is laid, it will be easier to understand what these brain waves can do and how you can use them to improve your health and well-being. So, what are they? Theta brain waves are one of 4 wave frequencies found in a healthy individual. Alpha, beta and delta make up the other three. Delta is the slowest wave form and theta follows right behind. No one wave is better than another and all are needed for proper function and development. Normally, theta will appear or is associated with extreme relaxation, sleep or drowsiness. These slow, high amplitude waves appear during activities such as meditation. Generally, one feels a sense of peace and calm when the brain kicks into theta gear. All four of these waves can be read on an EEG and have been studied for many years. What is it then that makes the theta wave one of interest? What can the power of these waves do for you? The key to the power of the theta brain wave is in its interaction with the other waves. They act as an information transport and storing system. How does it work? Theta and delta waves are associated with the unconscious mind – delta being even deeper than theta. Your unconscious holds a wealth of information and is a source of inspiration, creativity and memory. In order for a person to gain access into this limitless storage center, there has to be communication between the unconscious and the conscious mind. The process actually starts with delta. This slow wave gives information to the theta wave. Theta acts like a messenger as much as it does a gateway into the unconscious part of the brain. The information that the theta wave carries does no good unless it is transferred to the conscious part of the mind. This is where the alpha rhythm comes into play. Alpha waves are part of an alert, calm state of being. 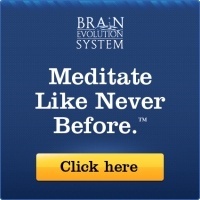 This faster brain wave is the go-between for the conscious and unconscious minds. Theta transfers its information to the alpha and it thus enters into conscious thought. Beta waves read off of alpha and the circuit is complete. Theta is powerful in that it is where critical information is obtained and handed off. How does a healthy amount of theta waves in the brain translate into better health and other useful benefits? Basically, with an appropriate increase of theta activity in the brain, you can use the information that is stored in your subconscious to your advantage. Think of the memories that are stored there, the capacity to learn faster, retain more, manage stress and channel creative abilities and have access to limitless inspiration. There are almost endless possibilities, but lets review some of them. When theta brain wave activity is increased in a healthy way the noted improvements are impressive. The unconscious part of the mind holds the key to better memory and easier learning. To connect with the unconscious mind means you are connecting with things that aren’t tangible. Emotions and intuition for example, are important things we use daily. Theta can help increase your awareness to these feelings so you are then able to make better decisions, improve relationships and have an overall better understanding of things. These deeper connections allow for other improvements as well. Problem solving , we are talking the hard to solve problems, becomes easier with increased theta. The deeper recesses of the mind deal in abstract and can see a problem from different angles your conscious mind may not be able to. Naturally, a flow of information from here will lead to an increased sense of creativity. Researchers have found that many creative people, like artists and musicians, actually have a higher amount of theta than the average person. 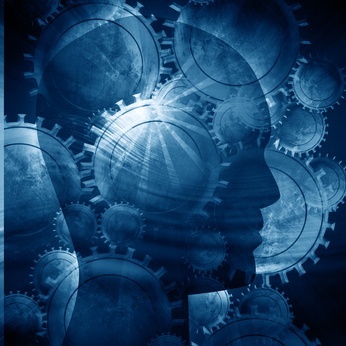 Theta brain waves can open the mind up to new ideas and concepts. Think of it as a type of reprogramming. A word of caution here though, this power works both ways. You can fill a mind with good or you can fill it with bad. Healthy theta means a person is in control of what comes in and what goes out. That being said, new ideas – like a foreign language or a new way to do something – come more naturally. Stress management becomes second nature and as a result, your immune system improves. Our brain is an amazingly complex machine. We are not even close to unlocking all the secrets it yet holds. Theta activity, however is a wonderful thing and can be used to better and improve lives and relationships. The power of theta brain waves can be harnessed in healthy ways to help you lead a happier life! If you enjoyed the above post about the power of theta brain waves, please consider sharing it! What are Theta Brain Waves?